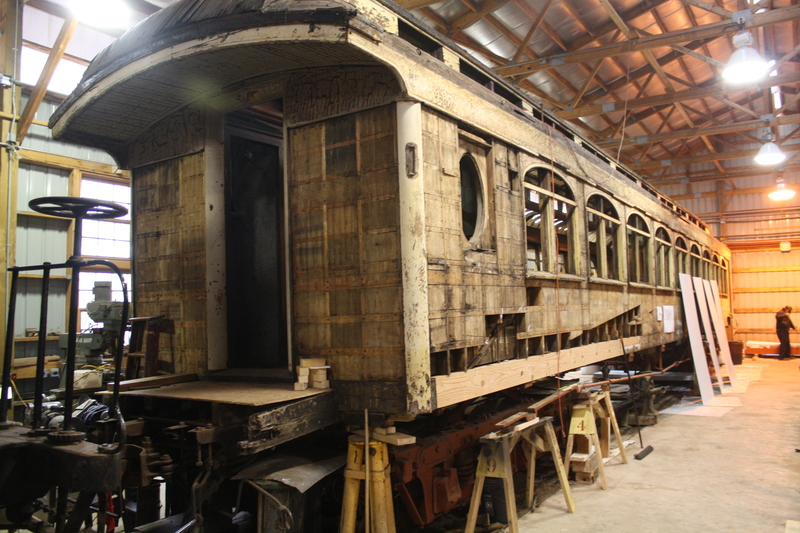 #64 undergoing restoration in the Car Shop, April 10, 2016. Bill Buhrmaster photo. #64 interior, 2016. Ric Genthe photo. 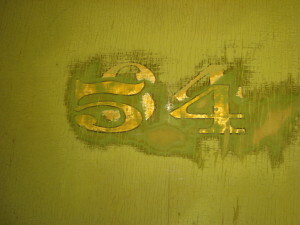 The car’s original number, 54, was discovered during restoration work on the bulkhead wall above the door. Bill Buhrmaster photo. #64, December 1984. Bill Buhrmaster photo. #64 at Marquette, MI, October 5, 1957. Bill Buhrmaster collection. two rail lines, one running from Princeton to Munising, and a second from Stillman to Cusino, all in the Upper Peninsula of Michigan. The Munising Railway was later absorbed into what became the Lake Superior & Ishpeming Railroad in 1923. 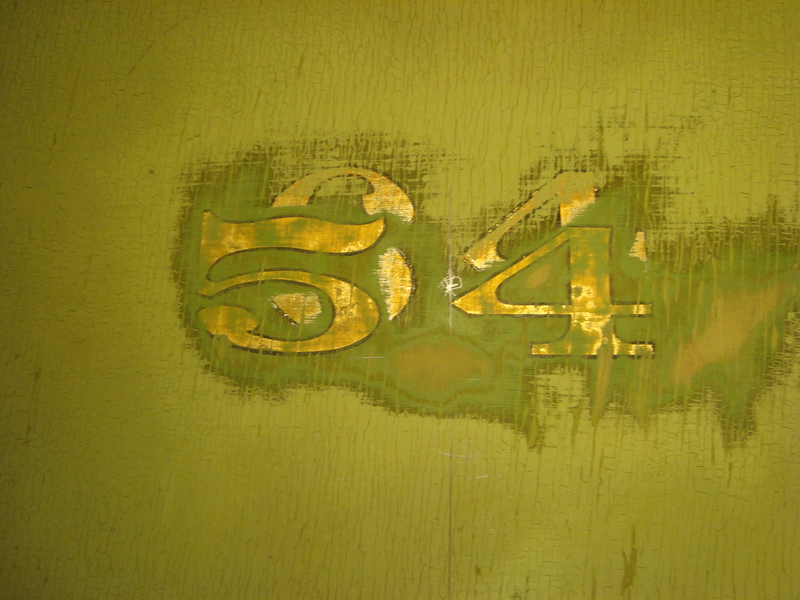 At that time the car came under LS&I ownership and it was renumbered to #64. 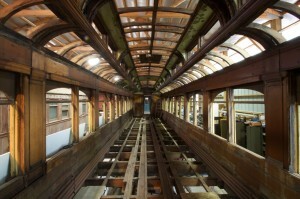 Passenger service ended on the LS&I in 1929, and #64 was retained but remained in storage for the majority of time. 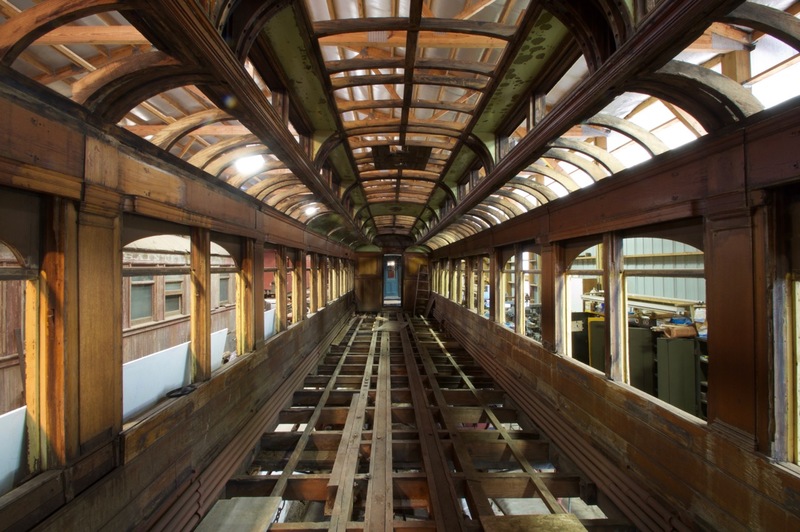 In 1964, it was sold to Marquette & Huron Mountain, a tourist railroad located at Marquette, Michigan. In 1985, it was purchased by Mid- Continent and moved to North Freedom with other equipment acquired from the now-defunct M&HM. 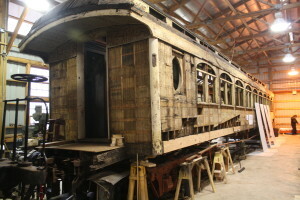 #64 is presently in the Mid-Continent Car Shop being restored to its 1910 appearance.